The Supreme Judicial Court has just released its long awaited opinion in Monell, et al. v. Boston Pads, LLC, (link here), ruling that Massachusetts real estate and rental agents can remain classified as independent contractors under the state’s real estate licensing and independent contractor law. The ruling keeps the traditional commission-only independent contractor brokerage office model in place, with brokers allowed to classify agents as 1099 independent contractors, without facing liability for not paying them salary, overtime or providing employee benefits. A collective deep breath should be heard throughout the entire Mass. real estate industry this morning. Although the ruling determined that real estate agents are exempted from Massachusetts’s independent contractor law, the Court left open whether future plaintiff employees could build a case on other legal theories, and the Court deferred to the Legislature to enact a bill to address any murkiness which remains with the law. This lawsuit was brought by a group of disgruntled rental agents at Jacob Realty seeking to recoup lost overtime and minimum wages. As is customary in the industry, Jacob Realty classified the agents as independent contractors, paying them on a commission-only basis and making them responsible for payment of their own taxes and monthly desk fees. At the start of their employment, however, the agents signed non-disclosure, non-solicitation and non-compete agreements. They had to own day planners, obtain a cellphone with a “617” area code, adhere to a dress code, submit to mandatory office hours and to various disciplinary actions if they did not meet their productivity goals — requirements typically reserved for employees, not independent contractors. This ruling is somewhat frustrating. The SJC punted on the major question that everyone in the industry has been waiting on for a year now. I love when that happens (insert sarcasm here). Whether the Legislature takes up this issue remains to be seen. In the meantime, brokers and office managers can sleep a little better tonight knowing that the chances they will be sued over employee classification has gone down considerably, but they still may be awoken someday with a nightmare in the hands of a creative plaintiff’s wage and hour attorney. Since the concept of currency and debt was created, debtors have been playing a cat-and-mouse game with creditors in order to avoid satisfaction of their debts. A ruling last week by the Massachusetts Appeals Court in Citizens Bank v. Coleman (May 15, 2013) is notable because it put the kibosh on a formerly popular estate planning practice in Massachusetts where a husband conveys property into a real estate nominee trust held by his wife. The problem, of course, was that the husband was being chased by a creditor holding a $600,000+ judgment, so any action he took with his assets would ultimately come under the judicial microscope. And that’s exactly what happened in this case, as the Court unwound the transfer and ruled in the bank’s favor. In the 1980’s, Martin Coleman, a real estate developer, purchased two multifamily rental properties in Waltham. Coleman furnished all the cash to acquire these properties. In 1986, Coleman married his wife, Pamela, who began managing the properties. She dealt with all issues relating to the tenants (including rent collection and filling vacancies) and superintended the maintenance, repairs, and payment of bills. In 1988, Coleman defaulted on a $6.2 million construction loan, which he had personally guaranteed. In 1989, Coleman transferred, for $1.00, title to both rental properties into two real estate nominee trusts, with Pamela named as the sole beneficiary of each trust. Pamela continued to assist with the management of the properties, but Martin paid for all the property expenses. In 1994, Federal Savings Bank obtained a $600,000 plus judgment against Mr. Coleman which was subsequently acquired by Citizens Bank. Citizens sued the Colemans, attempting to “reach and apply” Pamela’s interest in the two Waltham properties to satisfy the large judgment. The Appeals Court ultimately ruled that Mr. Coleman’s conveyance into the nominee trusts was a “resulting trust” — essentially a fraudulent transfer to avoid satisfaction of the large judgment. With respect to transfers between husband and wife, the law presumes they are not designed to avoid creditors. This presumption, however, can be overcome through evidence that the conveyance did not result in any change in behavior or financial responsibilities between husband and wife, as compared to before the transfer. In this case, the evidence showed that Mr. Coleman still held himself out as the owner of the rental properties, nothing changed as to the wife’s property management duties, and the conveyance was not truly part of a legitimate estate plan, as the Colemans contended. The Court ruled that Citizens Bank will be able to sell the two Waltham properties at auction to satisfy the judgment which is likely now seven figures. Real estate nominee trusts were all the rage in the 1980’s and into the 1990’s. A series of court rulings, however, exposed serious flaws with the asset protection security these trusts were supposed to provide. They are now out of favor, yet, they are still being used. Perhaps this case will put the proverbial nail in the nominee trust coffin. Memo to estate planners: They don’t work, so stop using them. Go with a limited liability company instead. Richard D. Vetstein is a Massachusetts real estate attorney who is frequently consulted by property owners looking to shelter their assets. Please contact him at info@vetsteinlawgroup.com or 508-620-5352. Email Disclaimers: Toothless, Useful, Or A Little Of Both? Boilerplate email disclaimers at the bottom of messages are so ubiquitous that most of us hardly notice them anymore. They certainly take up a lot of text space and can be annoying to some, but are they legally effective or just plain toothless? In the real estate context, where Realtors and attorneys write in the language of contract everyday, I believe that a short and simple email disclaimer may help, and certainly cannot hurt, the sender (aside from annoying a snarky recipient or two). In this post, I will discuss a few common real estate situations where an email disclaimer could come into play, then give you the disclaimer that I use in my emails. Now I have my own disclaimer here: A court will determine each case individually, and there is no guarantee that any particular disclaimer will be effective in any given case. The most common situation where an email disclaimer could come into play is during real estate contract negotiations. For many agents and attorneys, e-mail has become the default mode of communication, replacing the telephone and the outdated fax. E-mail, however, can provide the “smoking gun” in litigation because it’s nearly impossible to delete permanently, and people tend to be more casual and less introspective before hitting “send.” And don’t get me started with texting, which is even worse. Realtors must remember that under Massachusetts agency law they are agents with actual or apparent legal authority to bind their clients to the statements they make in emails and other forms of communication. Like the Miranda warnings given by the police, a real estate agents’ statements “can and will be used against them in a court of law.” The same is true for attorneys. 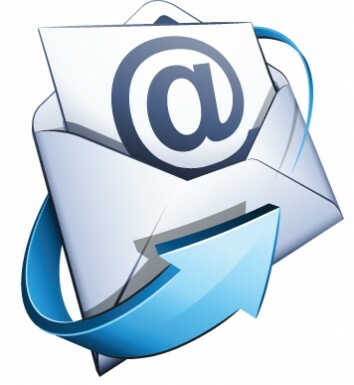 A case in point: In the recent well-publicized case of Feldberg v. Coxall, a Massachusetts judge ruled that a series of e-mail exchanges between the buyer and seller’s attorney, the last one attaching a revised, but unsigned, offer to purchase, could create a binding contract even though no formal written agreement was ever signed. This is also one of the first cases applying the new Massachusetts E-Sign law to preliminary negotiations in real estate deals. There have been cases in other jurisdictions holding that e-mails can result in a binding contract even though the parties may have assumed otherwise. This is the new email disclaimer that I’ve formulated after the Feldberg ruling. It does two things. 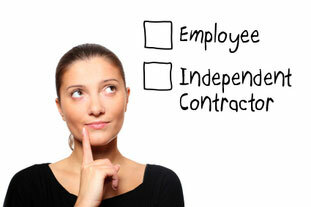 First, it provides that only a fully signed contract can bind the parties. Second, it attempts to counter the presumption in the E-sign Act of conducting the transaction electronically via email. It has not been tested in court yet, but again, aside from taking up some pixel space, it can’t hurt. Now remember, this type of disclaimer would favor a selling/listing agent, but not necessarily a buyer’s agent, because the buyer’s agent would typically want to enforce preliminary negotiations. So, caveat emptor (buyer beware). Another best practice that Realtors and attorneys should get in the habit of doing is to write “subject to final client review and approval” or words to that effect in the midst of email contract negotiations and draft agreements being circulated. This could sway a court from determining that a binding deal was formed, and plus, it gives you an “out” in case a client has last minute changes. Attorneys love to use long confidentiality disclaimers in their email. Do they work? Occasionally. Do they matter in real estate? I still think so. First, the concept of legal confidentiality is limited to those situations governed by legal privilege. There is an attorney-client privilege between lawyers and their clients, obviously. While there is no legal privilege between a Realtor and his/her client as for communications solely between the agent and the client, the attorney client privilege will likely attach to emails and communications between and among the real estate agent, the attorney, and the client provided that legal advice is being given. But a particular email does not automatically get confidentiality protection simply because the attorney is copied on it. Some courts have pointed to email disclaimers as a factor in upholding the confidentiality. But there have been many court rulings where judges have discarded the disclaimers. CONFIDENTIALITY: This e-mail message and any attachments are confidential and may be privileged. The best practice, of course, is to cleanse and delete portions of any email with attorney-client or confidential information before forwarding. And of course, THINK BEFORE YOU HIT SEND! **Thank you to Cambridge MA Realtor Charles Cherney for suggesting this topic! Massachusetts appeals judges have been mighty busy this summer issuing real estate decisions. From the forced removal of condo buildings to toxic mold, to foreclosure eviction defense, it’s been no summer vacation in Massachusetts real estate law. Handed down today is a case right from a first year law school property exam, Hurtubise v. McPherson, embedded below. As most real estate professionals know, contracts for the sale of real estate must be in writing and signed by the party to be charged, i.e, the seller. This is a rule of law going back to English common law and is called the Statute of Frauds which can be found in the General Laws of Massachusetts, Chapter 259, Section 1. As with most black letter law, there are a few exceptions to the general rule, and this case is a textbook example of the “detrimental reliance” exception to the Statute of Frauds. Here are the facts of the case. Hurtubise and McPherson owned adjoining tracts of land in the town of Templeton. Hurtubise operated a storage business on his property. He wanted to build an additional storage shed along the border between his property and McPherson’s property. Hurtubise realized that he could not meet the setback requirements of the local zoning code unless he acquired land from McPherson. Hurtubise approached McPherson, explained his need, and proposed a land trade, offering to convey to McPherson a portion of the front of his (Hurtubise’s) property in exchange for the portion of McPherson’s land at which Hurtubise intended to erect the new storage shed. McPherson agreed to the proposal and the parties shook hands. Hurtubise proceeded with his plans for construction of the new building. He obtained a building permit and began to excavate along the border of McPherson’s lot. During the seven to eight weeks of construction, Hurtubise saw McPherson at the site. McPherson never objected to the location of the new building. Hurtubise eventually constructed a 300 x 30-foot storage shed for $39,690. After construction, McPherson objected and accused Hurtubise of taking more land than he initially had represented. McPherson informed Hurtubise that an exorbitant payment of $250,000 would resolve the dispute which Hurtubise refused to pay. McPherson then notified the town that Hurtubise’s new building encroached on his property. The town’s building commissioner revoked Hurtubise’s building permit and ordered him to cease occupancy of the storage shed. After McPherson threatened to demolish the building, Hurtubise brought suit to enforce the oral agreement. As mentioned above, to be enforceable, real estate contracts for the sale of property must be in writing and signed by the seller, at minimum. As Judge Mitchell Sikora wrote in the opinion, “however an equitable qualification puts some flexibility into the joints of the Statute.” An oral agreement for the sale of land can be valid if the party seeking enforcement, in reasonable reliance on the contract and on the continuing assent of the party against whom enforcement is sought, has so changed his position that injustice can be avoided only by specific enforcement. In non-legalese, this means that if you start a construction project and spend thousands of dollars upon the promise of a land deal, albeit not in writing, you may be able to enforce that promise. Because Hurtubise just sat by idly and watched McPherson construct his shed at considerable cost without objection, the court ruled that he couldn’t then complain there wasn’t a written agreement, in an attempt to wriggle out of the land swap deal. The court then ordered Hurtubise to convey McPherson the land necessary to build the shed. This case is one of the very few instances where a court has upheld an oral hand-shake real estate agreement. The take-away: make sure your real estate contracts are always in writing and signed! Richard D. Vetstein, Esq. is an experienced real estate litigation attorney who’s handled numerous real estate contract breach cases in Land Court and Superior Court. Please contact me if you are dealing with a Massachusetts real estate contract legal dispute.